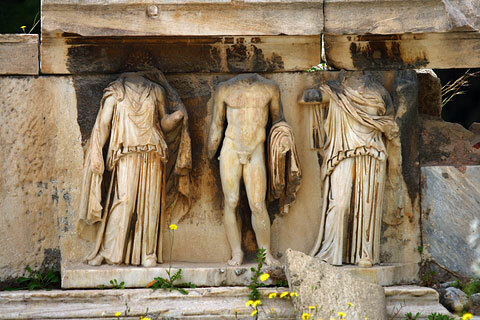 It is a worldwide famous fact that Greece represents the source of the theatre tradition. It all began with festivals honoring the Greek gods. One of them, Dionysus, was honored with a festival called City Dionysia during which men used to perform songs to welcome Dionysus. That is why we are not surprised that they named a theater after the mentioned god too. The Theatre of Dionysus is a major open-air theatre and one of the earliest preserved in Athens. Greek theaters in antiquity were in many instances of huge proportions but, under ideal conditions of occupancy and weather, the acoustical properties approach perfection by modern test. We know that the theater of Dionysus in Athens could seat 17,000 spectators and that the theater in Epidaurus can still accommodate 14,000.